The 2018 Dubai International Coffee & Tea Festival (DICTF) is hosting the Dubai International Coffee Championships, the world’s richest coffee championship, and offering a prize pot of over $60,000. DICTF is the latest edition of the widely recognised coffee and tea expo in the Middle East. It kicked off on December 5, and will run until tomorrow (December 7), at the Dubai International Convention and Exhibition Centre. The championships will test the skills of all contenders in practical aspects of coffee making, including espresso, latte art, brewing skills, and food pairing, said a statement from the organisers. 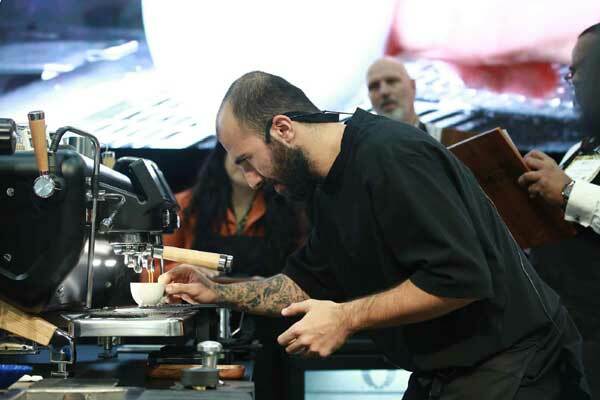 The championship allows for UAE based barista competitors to work off the same stage as more experienced International competitors with the introduction of two distinct national and international categories, it said. The event is designed to enable UAE-based Baristas to engage with some of the world’s top barista talent and yet maintain their own ratings at National Level with the opportunity to win the National Level prizes, it added. The winner of the International competitor category will take home $40,000, while the International Runner-Up will win a cash reward of $5,000. The winner of the National Competitor category, on the other hand, will take away Dh15,000 ($4,083), with the National Runner-Up bagging Dh5,000 ($1361.2). Apart from the championships, the 2018 edition of DICTF is also going to be packed with other activities showcasing the many facets of the coffee and tea industry. Various products and services will be put on display for three days, while SCI Café Management Strategy Development Workshop Program will make its debut this year. The programme is designed for café owners, managers, and aspiring entrepreneurs who are interested in enhancing their staff management strategy for higher profitability prospects. To be delivered by experts who will be on-site to share their knowledge, experiences, and trade secrets, the Café Business course will empower attendees so that they can stand out and take the lead in the competition. “DICTF will provide individuals and businesses alike with a platform to capitalise on the thriving opportunities in the industry today via a host of learning, networking, and training activities. The championships is one of the much-awaited events this year and we are confident that it will not disappoint as bigger cash prizes are at stake this year,” he said. “During the three-day event, we expect to see partners and clients collaborating to establish new business channels and discuss their upcoming projects and initiatives. The event will also be the time to explore fresh venues for expansion and growth,” he said. “We are overwhelmed by the huge turnout on the first day and we are confident that more will come in the coming days to check out the products, services, and technological advancements in the production, storage and distribution of coffee and tea,” he added. Seeking to set new benchmarks and raise consumer awareness and engagement, DICTF is featuring coffee, tea, bar and café products, equipment and services. It is the only dedicated event in the Middle East that gives access to a wide range of suppliers, products, and ideas and certified training programs, including the Certified Specialty Coffee Skills Program and SCA Foundations and Intermediate Level Training Workshops.